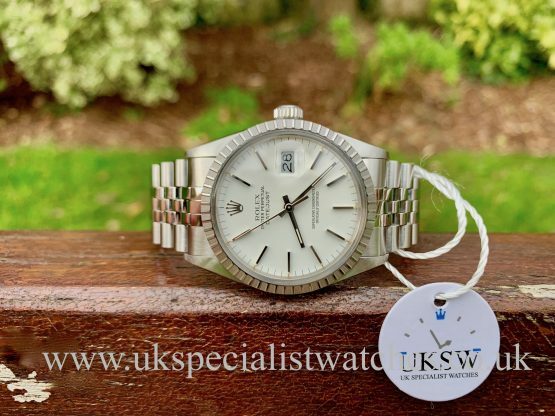 UK Specialist Watches are an independent rolex watch supplier who cover Kensington and the surrounding Kensington areas. We specialise in luxury watches including Rolex, Audemars Piguet, Cartier, IWC, Patek Phillipe and Panerai. 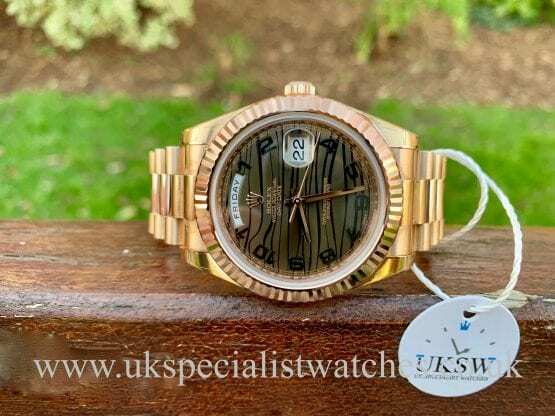 We also buy your unworn and pre-owned Rolex watches and other prestige brands including Vintage watches from anyone situated in Kensington. 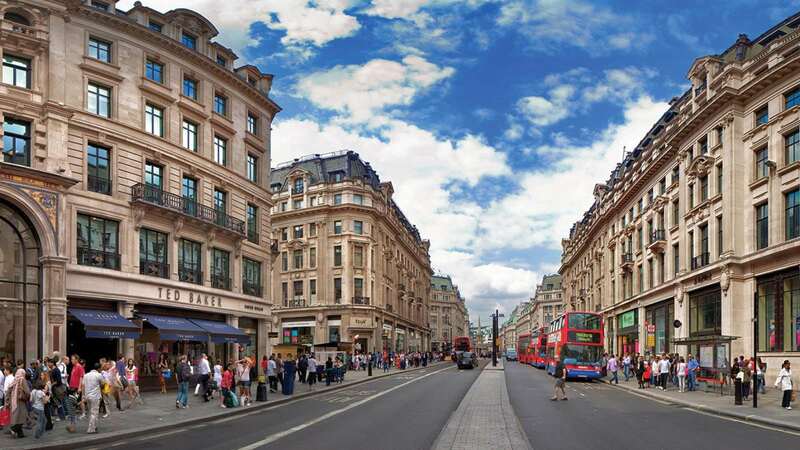 Please view our Stocklist for our current selection of prestige and Rolex watches for sale in Kensington. If you would like to sell your luxury watch from Kensington please complete our sell your watch form. 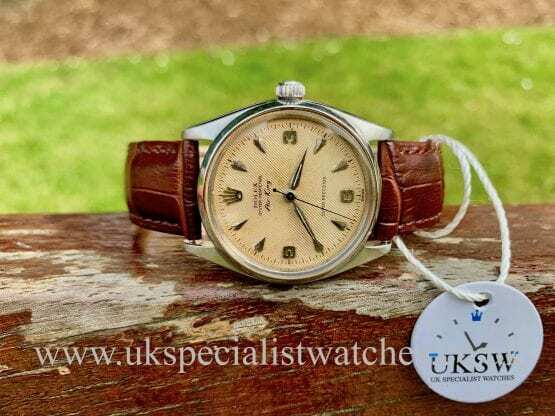 Rolex Oyster Perpetual vintage Air-King 5500 with the very rare "Herringbone Sector" Dial. 34mm stainless steel case, smooth bezel and ridiculously rare herringbone dial which features a ridge / grooved 3D dial with raised dagger head hour markers, 3,6, 9 Arabic numerals. Original sword shaped hands and steel blue'd seconds hand. Rolex Air-King 5500’s were made for over 35 years however in the first few years they were made with many unique and rare dial configurations until they were set to standard uniformed dials in the early 1960s. Our dial is arguably one of the rarest of the bunch with none on the market today with few known to existence. The 5500's were produced with the 1520 / 1530 calibre movement, our watch is powered by the calibre 1530 movement. Our immaculate and original example was manufactured in 1958. 374*** serial. Rolex Sky-Dweller Blue dial with luminous baton hour markers. Larger 42mm stainless steel case, solid 18ct white gold fluted uni-directional bezel, Sapphire Crystal glass. Stainless steel oyster bracelet with double folding clasp. Rolex Complication movement featuring Annual Calendar, GMT, Month, date, hours, minutes, seconds, with 12 apertures around the outside edge of the dial marked in red to indicate the month and a 24 hour centre disc. Our totally brand new Rolex Sky-Dweller still has one or two stickers remaining. Comes complete with all original box and papers. Supplied NEW MARCH 2019. Rolex GMT-Master 116710LN 40mm stainless steel case. Black gloss dial with chroma light luminos hour markers and hands. Green GMT hand and text. Sapphire crystal glass water resistant to 100mts. The new Ceramic scratch resistant bezel is coated with platinum then diamond polished giving it an ultra high gloss finish, fitted to the latest solid link bracelet. The new ceramic GMT has become one of the more sought after models in Rolex sports range with it now DISCONTINUED! Our unworn example fully factory sealed with all case and bracelet stickers intact. Comes complete with all boxes and latest style warranty card swing tags. Supplied new MARCH 2019. Covered by Rolex’s 5 year international warranty. This is certainly one of the very last 116710LN models off the production line making it a magnificent investment opportunity! 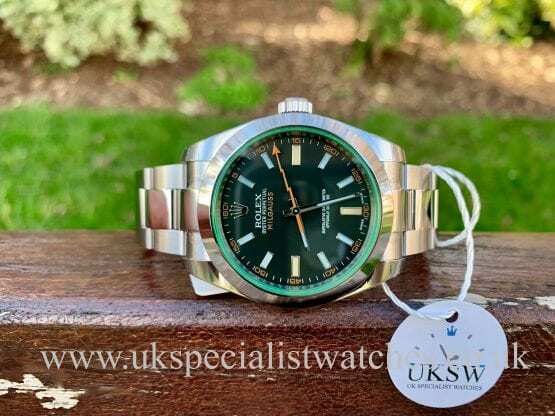 Rolex Milgauss 116400GV with a 40mm stainless steel case, dark grey dial with the “lightning bolt” Orange seconds hand and the unique sapphire crystal green glass. Polished stainless steel smooth bezel, fitted to a solid stainless steel Oyster bracelet with double folding clasp. Powered by an automatic 3131 anti-magnetic automatic movement. This is the only Rolex model to ever feature a green sapphire crystal glass! Our unworn / new example comes complete with all case and bracelet stickers still attached, original boxes, stamped warranty card, booklet, serial swing tag. Supplied new February 2019. 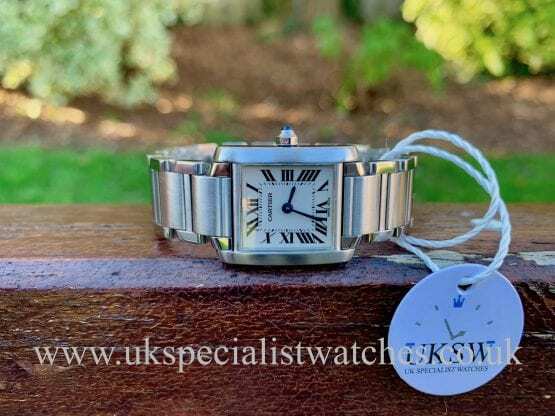 Cartier Tank Francaise Ladies with a stainless steel case Ivory dial with black Roman numeral hour markers with Cartier secret signature at 10 o'clock. Fitted to a brushed and polished stainless steel bracelet with double folding clasp. The caseback still has the Cartier service sticker still applied! Our watch is in excellent condition and comes with Cartier service pouch, both booklets and cartier stamped papers. Supplied new in 2000. 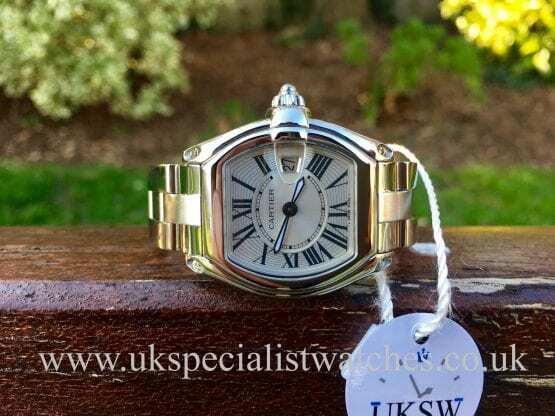 Ladies Cartier Roadster with a polished 36mm X 32.8 tonneau shaped case, Silver dial with black roman hour markers and Cartier secret signature at 10 o' clock. Date displayed at 3 o’clock magnified with a Cyclops lens. Polished Cartier cabochon crown. Fitted to a stainless steel brushed and polished Cartier bracelet. Our one owner watch is in fabulous condition having just returned from a full refurb. Supplied new in November 2006 and comes with Cartier booklet and stamped papers. Where in Kensington can I sell my watch? Finding someone to buy your watch can be a stressful time in Kensington. There are hundreds of watch dealers that will buy your watch but finding the right company offering the best possible prices is crucial. Who will buy my watch in Kensington? Who will pay me the most for my watch in Kensington? 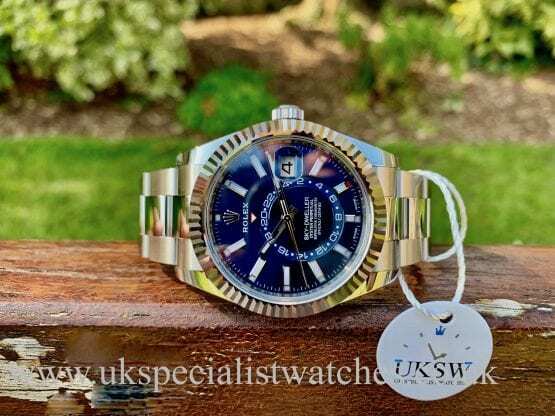 If you find yourself asking you those questions then you should contact UK Specialist Watches who buys new and used watches from anyone in Kensington and the entire UK. 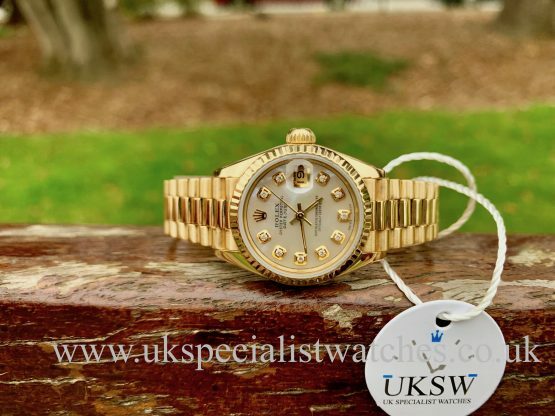 We make purchases on unworn or used Rolex watches from sellers wanting a quick and easy sale. Please fill in this form and take the first step towards parting ways with your watch. We take into consideration the watch condition and all extras you have included in the sale. Meeting our best criteria using the form provided would give you the best chance of a higher offer from us. If you are seeking to part ways with your watch and find yourself asking “where can I sell my Rolex?”, look no further. 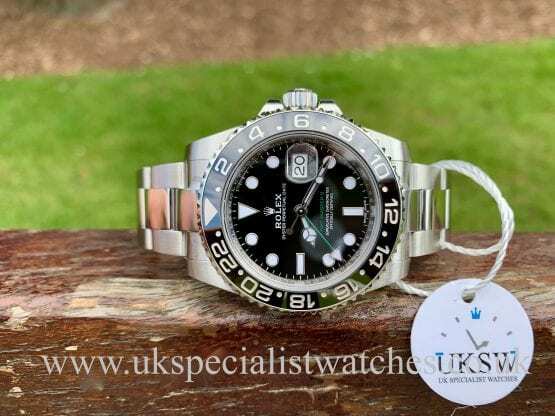 UK Specialist Watches buys all types of prestige watches including Rolex, Omega and many more. In order for us to evaluate your watch accordingly, it really helps to provide us with as much detail as possible in relation to the watch. To sell us your watch kindly fill in the form below and we will get back to you as soon as possible. We aim to respond to all enquiries within 12 hours. Please allow up to 48 hours over the weekends as we experience a high level of enquiries. Be sure to check your “Junk” email folder as sometimes our responses can end up there. Now accepting watches from Kensington. 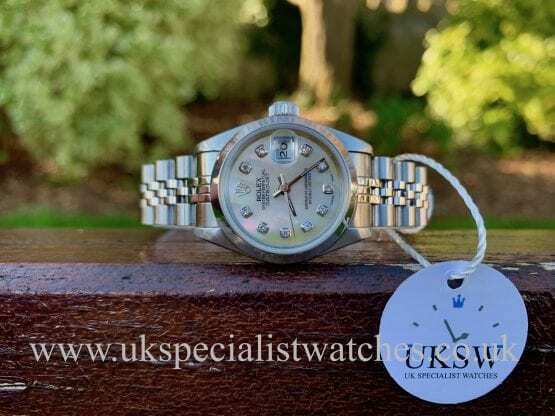 “We only buy pre-owned Rolex watches and other high quality prestige models.” Please keep in mind that we only make offers on watches of interest and whether we intend to purchase them from you.